The little one is growing fast and the baby bed remains unused? 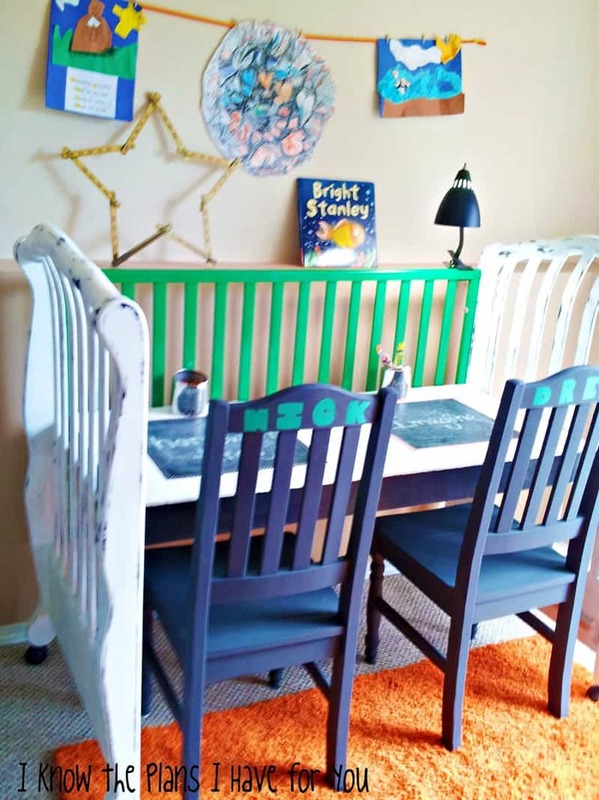 Explore our creative collection and transform the nursery furniture into practical items. Indoor or outdoor, there are plenty of places you can furnish with fresh ‘equipment’. Benches, desks, rocking chairs, couches, bookcases, magazine racks and beds. The list is as large as your creativity goes. Moreover, the transformations are DIY sessions. Call your friends or ask the grown-ups to offer a helpful hand. 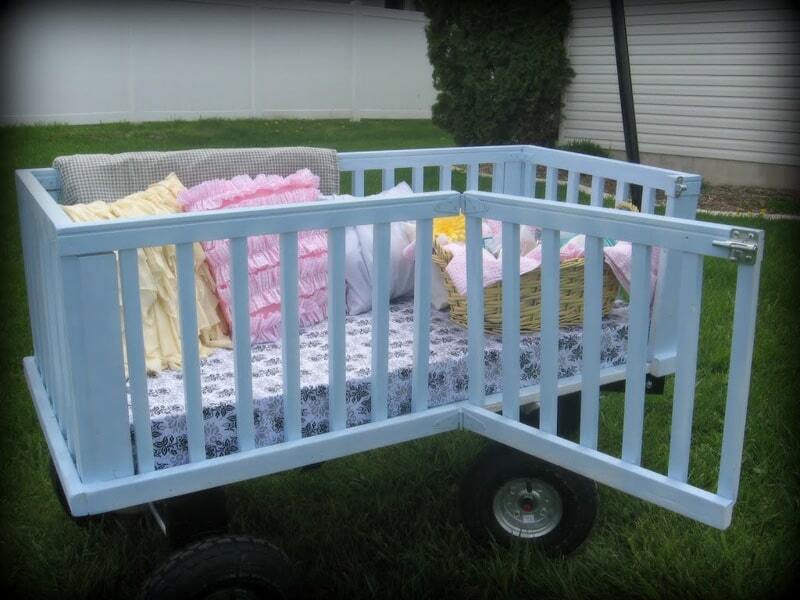 You will enjoy the remodel of the baby bed and learn how to save old belongings. 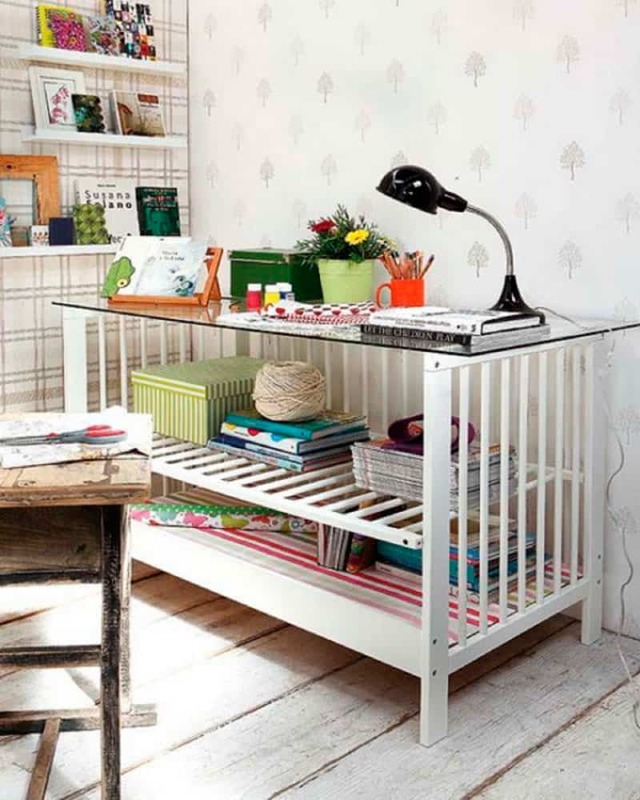 Nursery furniture is versatile, accessible and really resourceful. Why to spend huge amounts of money on outdoor furniture? 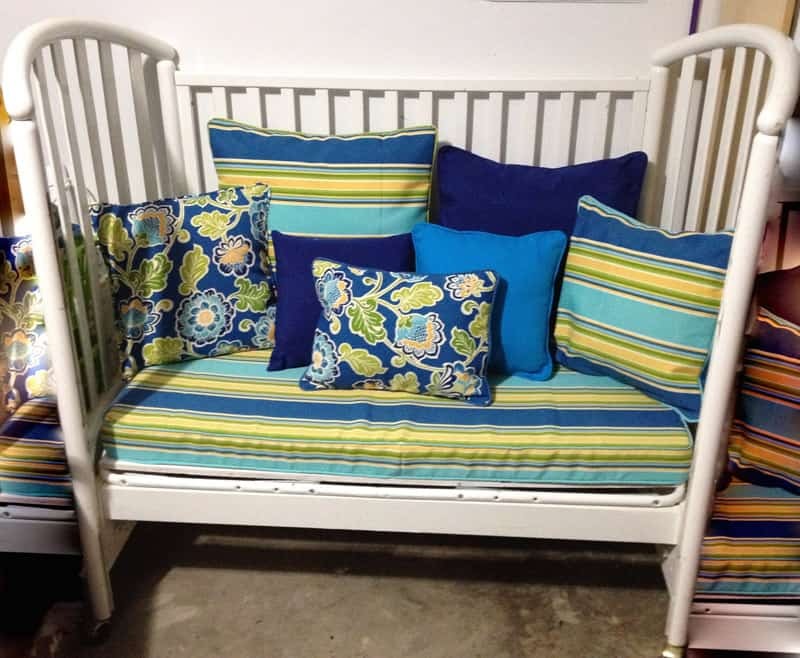 Transform the baby bed into a comfy wooden bench. The model above is a common wooden baby bed deprived of one of the two parapets. 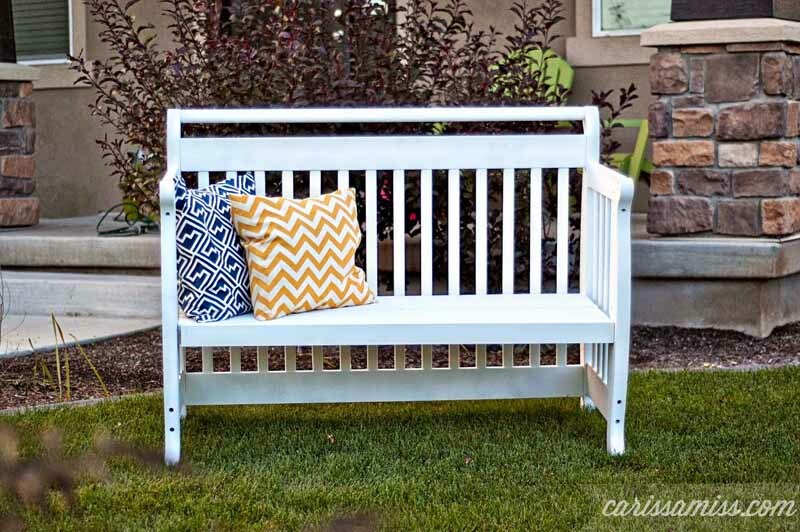 Painted in white, it now serves as bench near the patio, in the backyard. 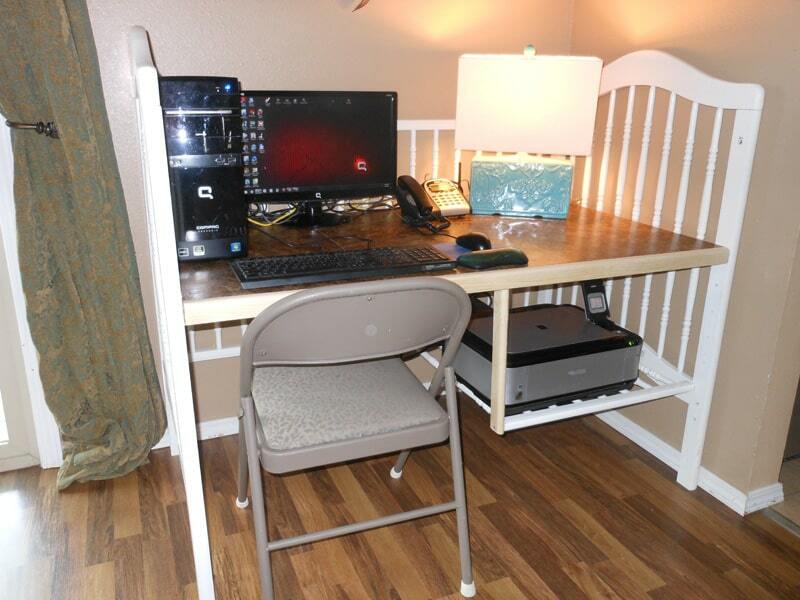 If you want a similar item, make sure the nursery furniture you are going to use is still durable. Thus, you will not encounter difficulties while seated. In case you have several nursery furniture sets, arrange the new benches in various corners in the garden. For example, near the fence, on the terrace (or on the balcony), near the clothes tree, on the porch. The resulted bench is pretty tall and really comfortable. What about a soft remodel your teenagers will adore? 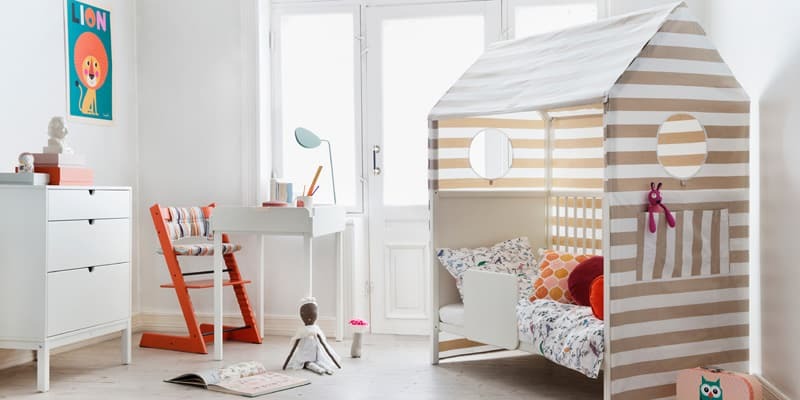 Take the wooden frame of the portable crib and look for a spacious corner in the children’s room. Pick a comfy large mattress and fix it between the frames. A comfy shelter resulted. 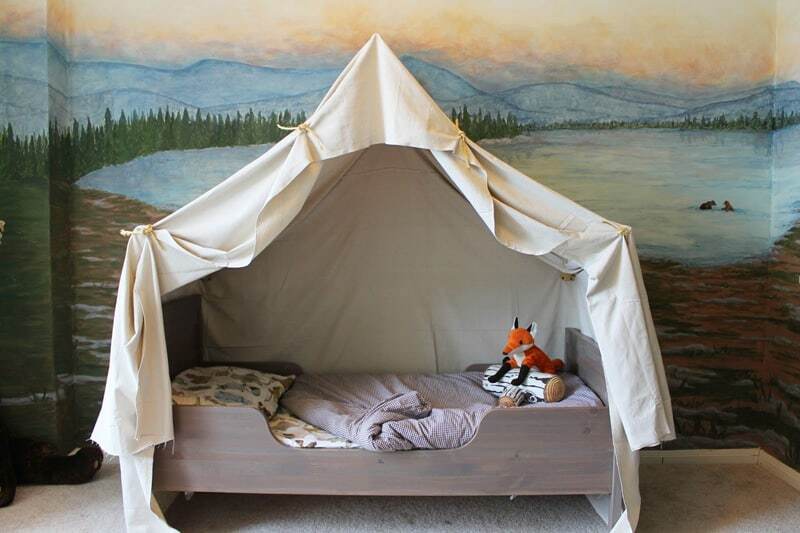 Your kids can cuddle up there or spend some time playing. Moreover, this is also a method to stimulate reading. They now have an attractive place to discover the adventures in their favourite books. Put a blanket on top and they will feel like living in a tent. 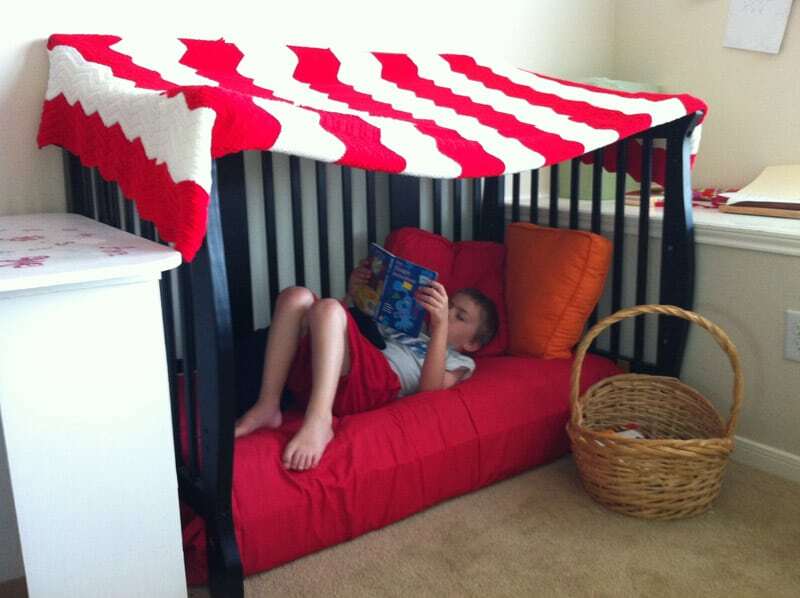 This proves that a bed for baby can also become a cot for the coming grown-up. 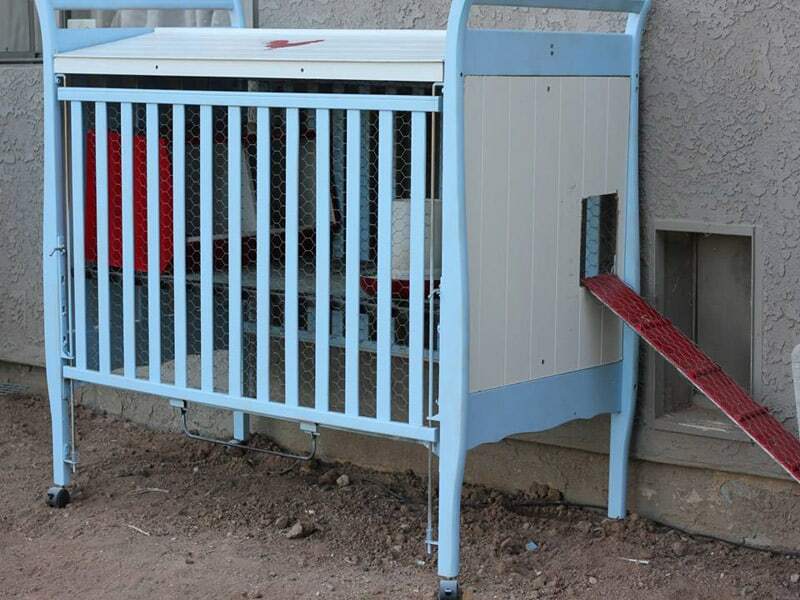 Baby crib on sale? Not really. Keep it for the next ‘generation’! What does an urban mum need? Look here! Visually dissembling the baby bed is the most interesting part. You do not actually realise what how many opportunities this common item of furniture might offer. Take the fence parts – or the parapets (people name them in various ways) -, and assemble them differently. 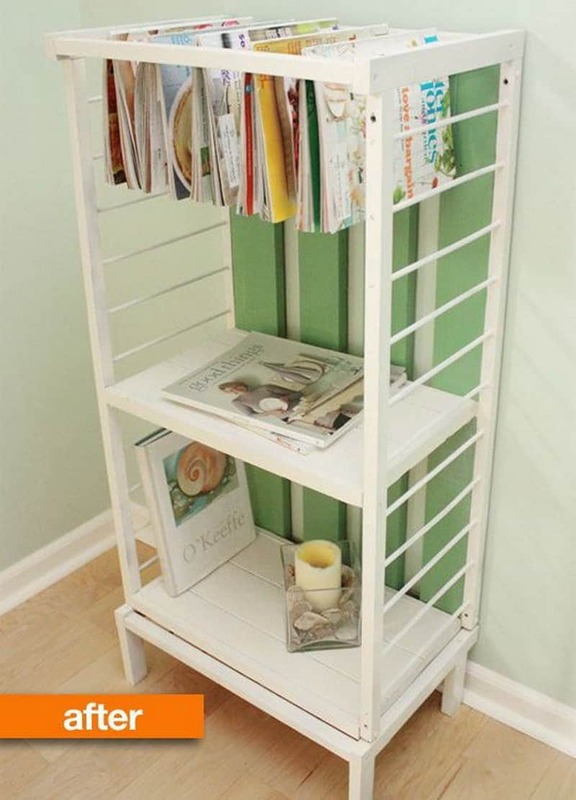 Build a magazine rack of medium size and place them in a corner (in the hallway, or perhaps in the bathroom). You can store the magazines piled up or as if they are clothes hanged for drying. The last method is quite interesting and catchy. Also, explore how to make corner shelves for your home. This is probably the most interesting item I have ever seen. 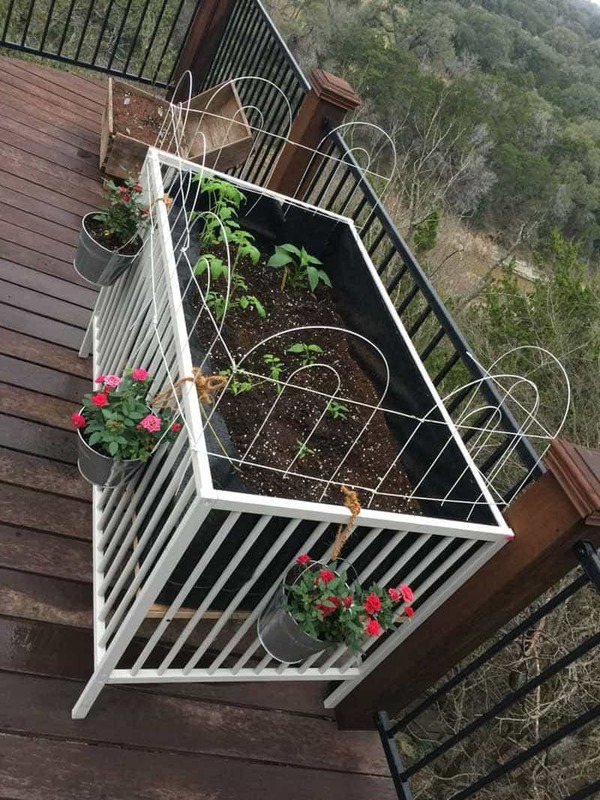 Take the frame of the baby bed and place a large container with soil instead of the mattress. Make sure you integrate it smartly so that plants benefit of what they need (water, light). For example, a water drainage system should be integrated. It fits amazingly on the terrace (or balcony), or in the garden, near a tree. However, in case you want to transport it easily, make sure it is not too heavy. Or, fix some little wheels at the bottom of its legs. 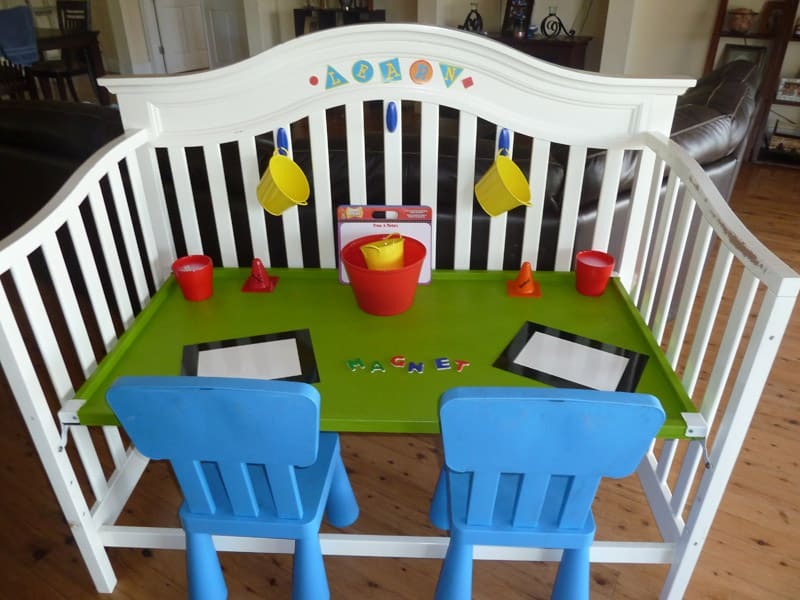 Well, for this baby crib remodel you need more than a creative morning and a bunch of utensils. 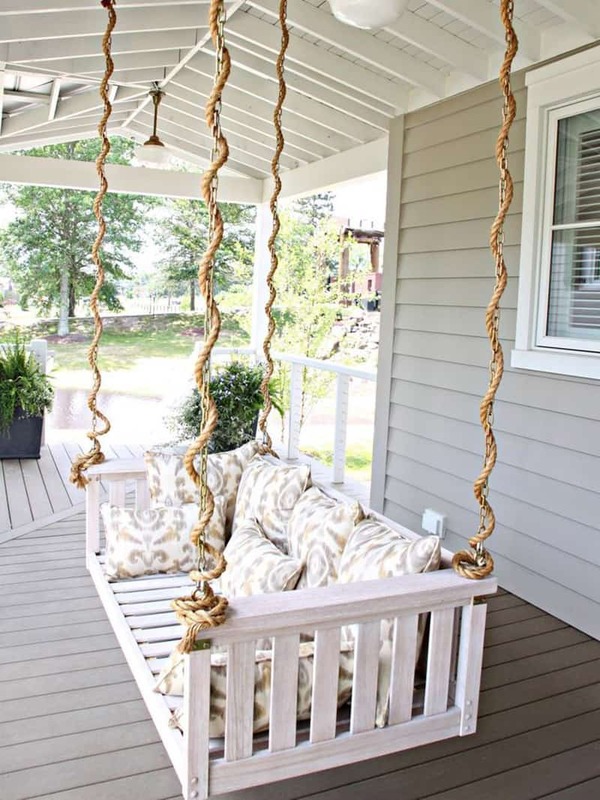 If you want to fix the swing seat on the terrace, make sure the ceiling can hold it firmly. This means the beams are resistant and able to hold at least two persons (100 kg). 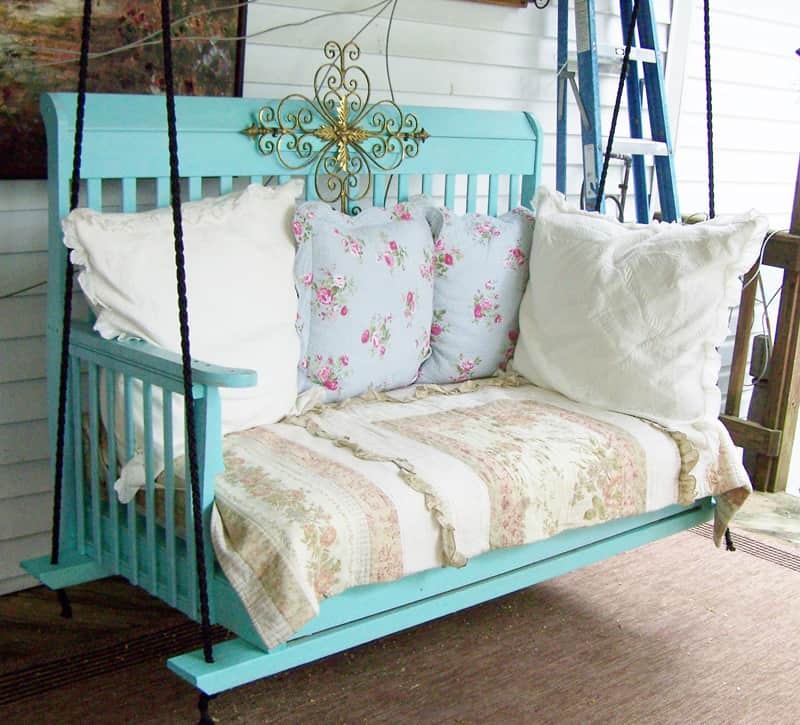 The hanging seat – often found in playgrounds – will be extremely attractive for adults. Put some comfy pillows inside and you will enjoy a great time during the evenings. The structure should be of light wood or plastic so that the rocking is smooth. Decorate the ropes with flower garlands or colourful papers. Keep the original body and place a transparent glass board on top. 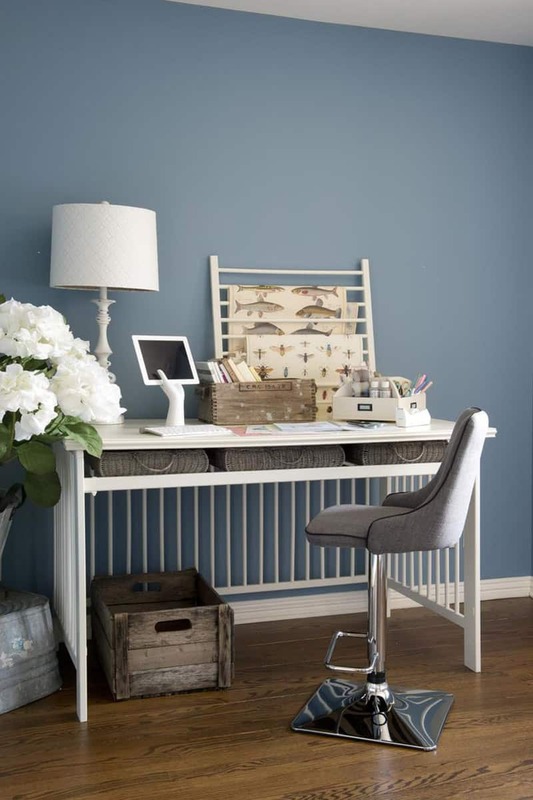 The writing desk looks very contemporary and also extremely practical. You can easily access all the areas (writing, storing) because of its large visibility. Plus, these fresh mix of colours energises the interior of a room. Kids have fun while also working at their desk. 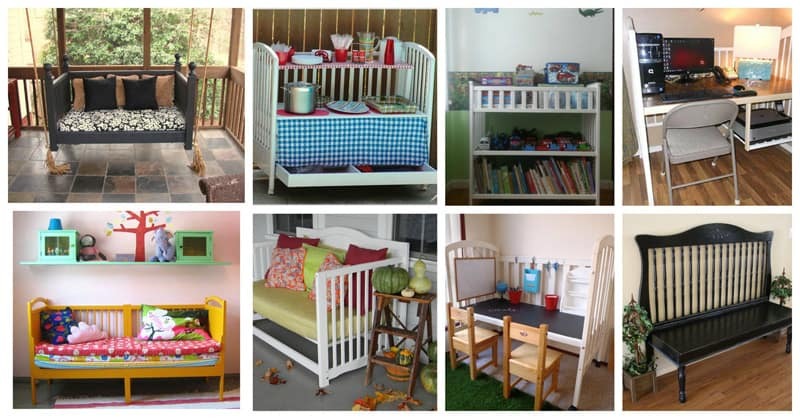 Meanwhile, use the rest of the baby crib for book shelves or photo frames. 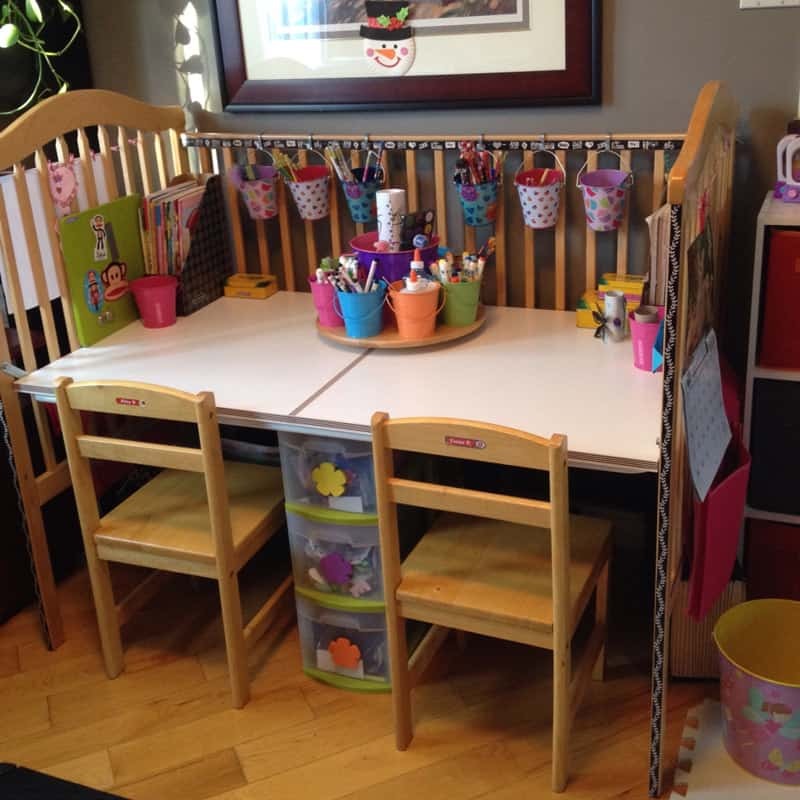 As you can easily notice, nursery furniture can be used in various ways. 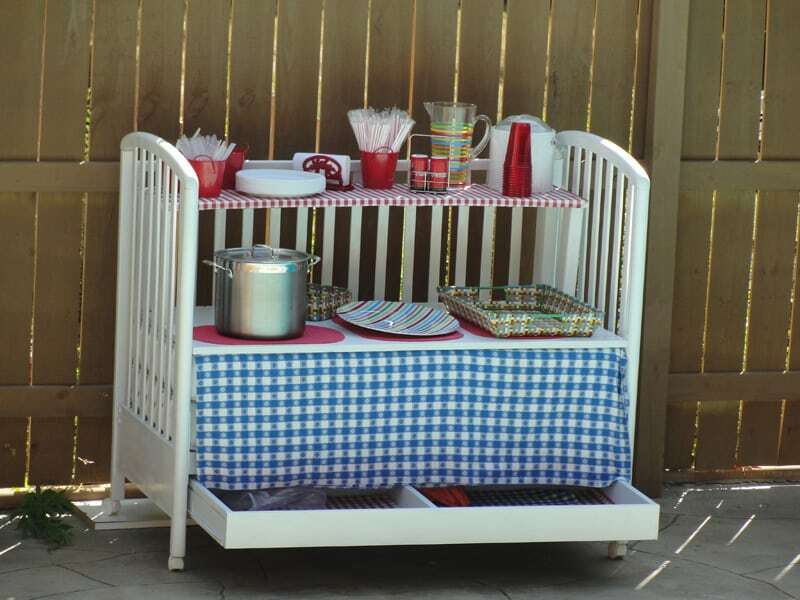 Fix a gliding board on top and transform the baby crib into a marvellous play ground. 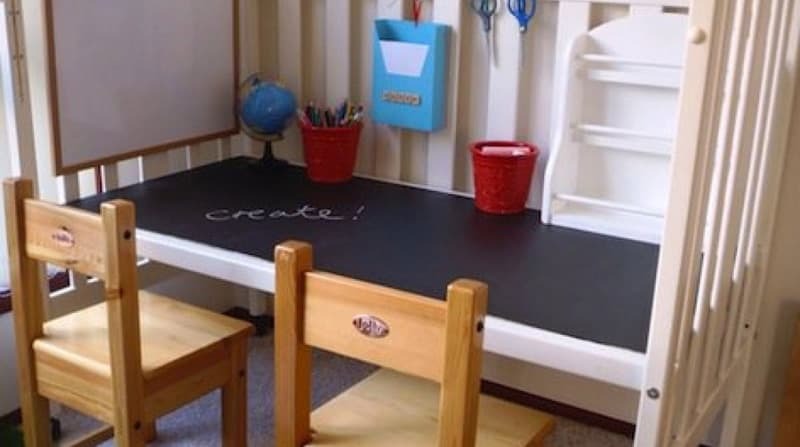 The kids will enjoy playing with their toys on the table, but also writing, drawing and painting. This is a multi functional board you can install in their bedroom. A pair of hangers will also help. Place some flower pots inside to energise the environment.